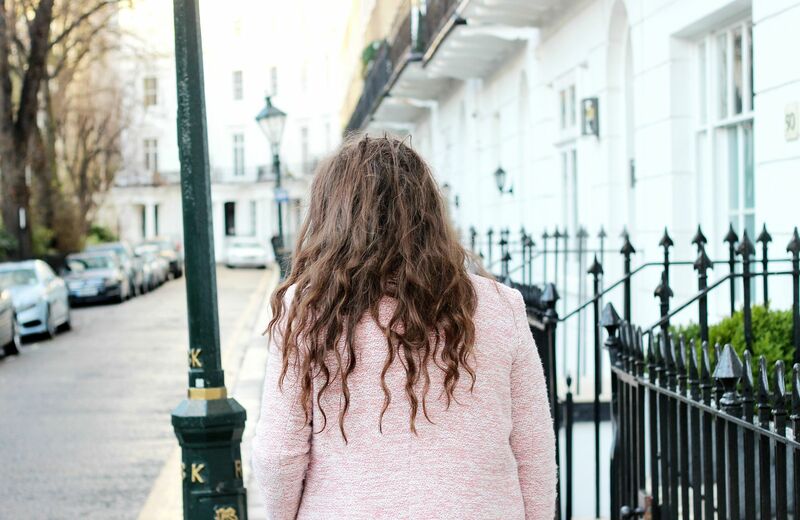 My love for pink blush has gone further from just my nails and my makeup picks – it’s even crept its way into my wardrobe. 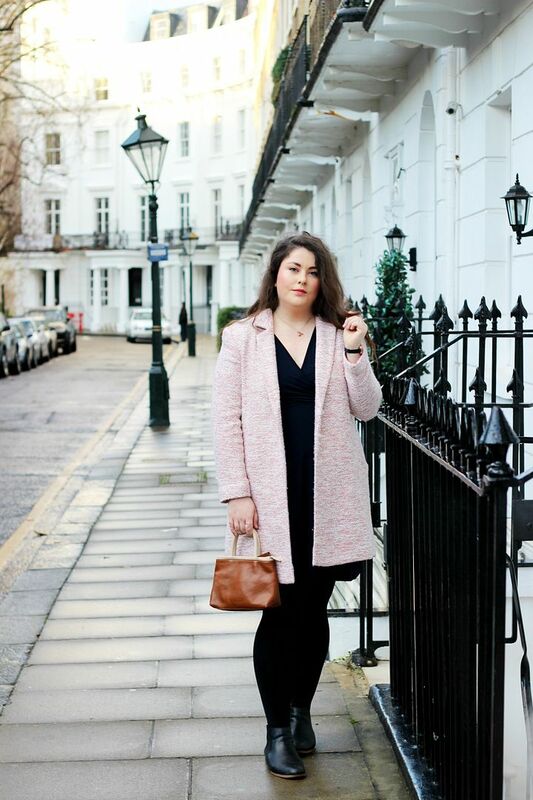 A firm believer in black looking good with black, me wearing a pink coat is sort of a big deal but I’m obsessed with the coat. Oh, the coat. I’ve never worn something that has made me feel so much like Carrie Bradshaw. In the girly, fashionable sense, not the neurotic, clingy sense. It’s pink and white and warm, and I absolutely love it. It’s long, and cut in a really nice shape so that it drapes elegantly. It’s also currently under £30 from ASOS, so a massive bargain. 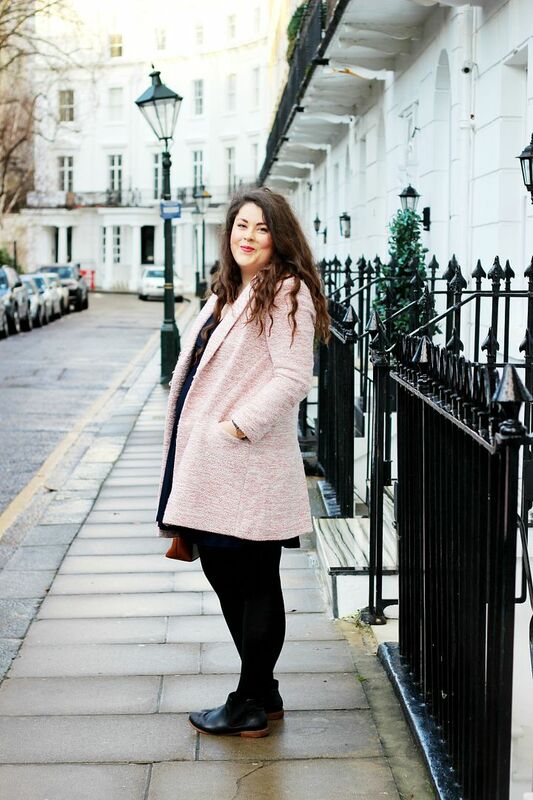 Being a bit of a novice when it comes to wearing such a soft marshmallow shade, I went for a navy wrap dress and some thick black tights because it is freezing! I paired the look with some rose gold details, because blush pink and rose gold are made for each other. 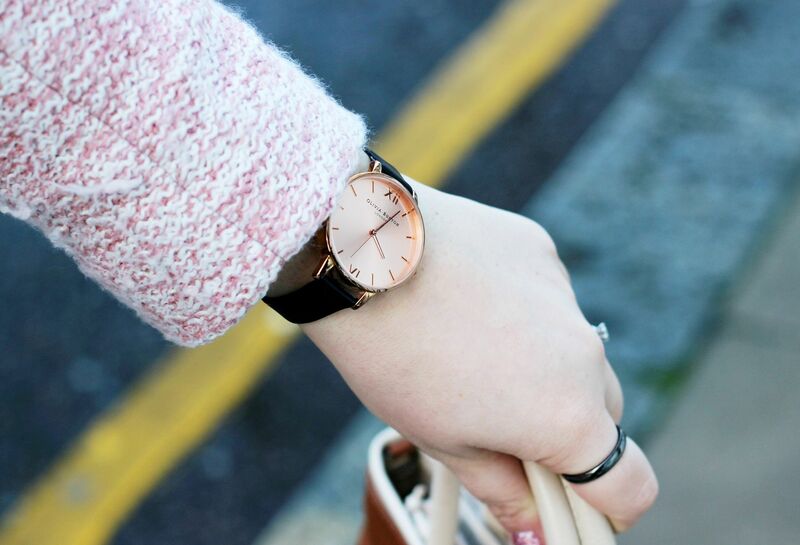 My Alex Monroe bee necklace is one of my favourite pieces to wear, and my trusty Olivia Burton watch goes everywhere with me. Also my black Chelsea Boots which go with everything and a teeny tiny Radley bag to go with the whole girly aesthetic. I roped Chris into taking these photos yesterday – we wandered over to Knightsbridge where the houses are oh so photogenic. Frightfully cold though, and I had to have a few cups of tea to warm myself up when we got home… I’m really pleased with the new Unfortunate series on Netflix, having been obsessed with the books growing up. My plans for today are to work my way through the series, and get some blog content written up for the next week. Hoping you all have a fab weekend, and manage to stay warm!